Has it come to this? In a modern democracy, can one vainglorious politician really be allowed to override the votes of 17.4million people? 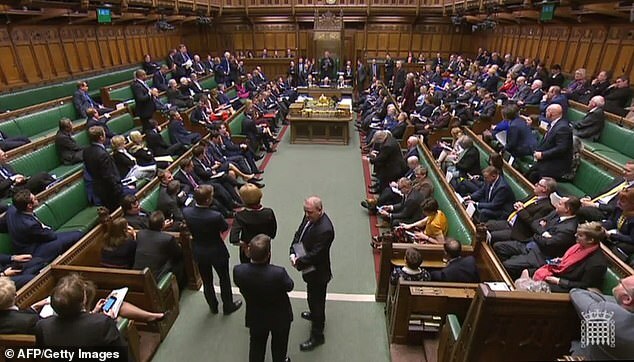 Even before Speaker John Bercow made his controversial ruling yesterday — preventing the Government from bringing back its deal to the Commons in its present form — this country was in a state of abject chaos. Now, for no reason other than the overweening vanity of a deluded man, this alarming state of affairs has suddenly got much worse. Where in God’s name do we go from here? What happens if Theresa May can’t put her proposal to the Commons this week, as she had hoped to do, had there been a reasonable chance of it passing at the third time of asking? Will we, as everything falls apart, find ourselves leaving the EU on March 29 with No Deal — which few people want? It’s certainly possible. That is the law of the land as things stand, and March 29 is a mere ten days away. It’s certainly not Mrs May’s intention, but I am afraid power is being wrested from her grasp by other hands — not least John Bercow’s. Of course, No Deal is not what he wants either. He hopes to kill off her deal, and force her to go to the summit of EU leaders later this week begging for a longer extension of many months. If that were granted, it is likely Brexit would be undone, either by a referendum or by so watering down the terms of disengagement as to make leaving the EU virtually meaningless. That is what Bercow longs for. 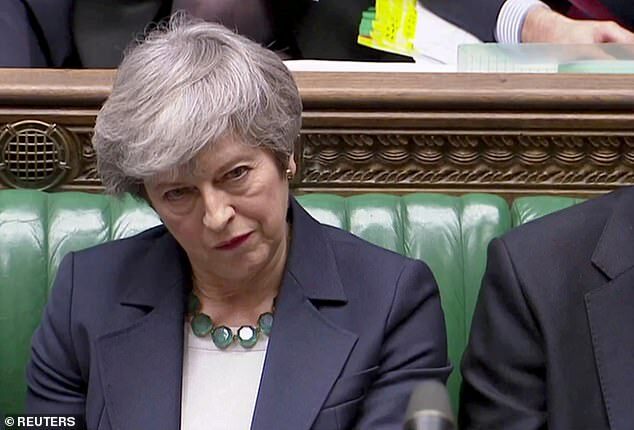 Prime Minister Theresa May is pictured in the Commons before her deal was voted down last week. What can the Government do now that it is required by a partisan Speaker to make significant changes to its Bill before it can be introduced again to the Commons? How can I say this? How can I accuse a man, whose almost sacred duty it is to be impartial, of twisting the rules to favour the cause of staying in the EU, which he espouses? 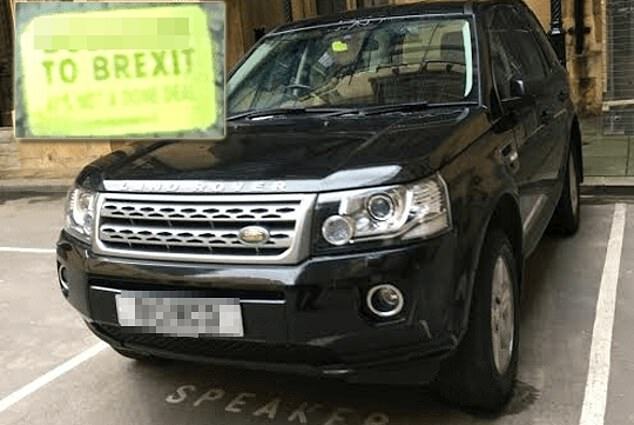 I don’t attach enormous importance to the fact that a sticker proclaiming ‘Bo***cks to Brexit’ was displayed in a car Bercow says belongs to his wife but on which he has a claim, though it is surely not insignificant. No, I rest my charge of bias on his conduct as Speaker of the Commons. As recently as last week, he refused to accept an amendment which sought to block a second referendum even though it had cross-party support and had been signed by 127 MPs. Instead, he chose an amendment in favour of a second People’s Vote with many fewer signatures, which was defeated ignominiously. Until yesterday, the worst instance of his partiality was in mid-January, when, against the advice of Commons clerks, and in defiance of centuries of procedure, he allowed anti-Brexit Tory rebel Dominic Grieve (with whom he had shared a cosy chat in his private apartment the previous evening) to table an amendment to a Government motion. This was the first major undermining of the Prime Minister’s authority, and it forced her to reveal alternative plans three days after being defeated on her so-called ‘meaningful vote’, rather than the 21 days she had intended. But what happened yesterday was worse. Of course, there will be some, especially on the Labour side, who will defend Bercow’s elaborate appeal to precedent — going back as far as 1604 and ending 99 years ago in 1920 — in which he sought to establish that a government couldn’t bring back a Bill in substantially the same form once it had been defeated. There are those who are saying that he is simply passing independent judgment based on parliamentary procedure that has developed through custom and practice over the centuries. Yet what was so risible about this historical trawl is that the Speaker who venerated precedent yesterday, and based his judgment on it, swept it aside dismissively when allowing Grieve’s amendment in January. The truth is that Bercow has seldom showed any love for precedent. When he became Speaker in 2009, he eschewed the traditional horsehair wig and breeches and buckled shoes, earning the disapprobation of a previous Speaker, Betty Boothroyd, who sadly mourned ‘700 years of history’ which Bercow was cheerfully junking. In other words, Bercow is perfectly capable of ignoring the past, and waving the flag of modernity, whenever it suits him. Yesterday it didn’t. He wants to find a reason to strangle the Prime Minister’s deal, and was happy to appeal to Erskine May (a constitutional theorist who died in 1886) to bolster his opportunistic case. The truth is that even on this narrow reading of the past, he is probably wrong. A much greater constitutional expert on these matters than Bercow took an entirely different view in front of the Commons Brexit Committee last October. 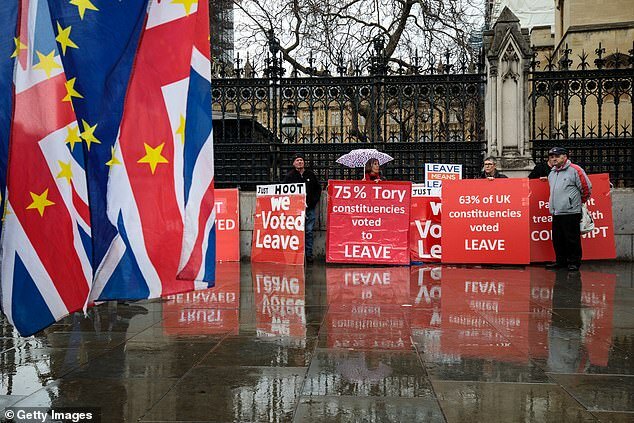 Both learned opinions strongly suggest that at a time of crisis, when the future of the country is at stake, ancient parliamentary rules first laid down in 1604 cannot be allowed to stand in the way of the national interest in 2019. Let me give one more example of the breathtaking inconsistency of Bercow. Yesterday, not for the first time, he chided the Government for postponing its ‘meaningful vote’ in December, which he described as ‘discourteous’. Yet he issued his earth-shattering guidance yesterday without giving the Government any prior warning. Wasn’t that discourteous? What can the Government do now that it is required by a partisan Speaker to make significant changes to its Bill before it can be introduced again to the Commons? It’s difficult to know. The irony is that Mrs May would alter her deal if she could, but Brussels has told her she can’t. Speaker Bercow is asking for something that is not in her power to give. She could of course weaken it — say by agreeing to the UK staying in the Customs Union — but that is not what she has spent two years negotiating. By the way, I was sorry to see Sir Bill Cash, a hard-line though honourable Brexiteer, welcome Bercow’s ruling. He evidently thinks it takes us closer to No Deal. But that is not what the country wants. And, as I have said, it’s more likely that the result of what happened yesterday will be a long extension that takes us ever further from Brexit. Events are moving with dizzying speed, with one crisis following hard on the heels of another. By the end of this week, some new calamity may have erupted that makes us forget Bercow’s destructive manoeuvring. Conceivably he will climb down. Or maybe the Government will find a way of outfoxing him. 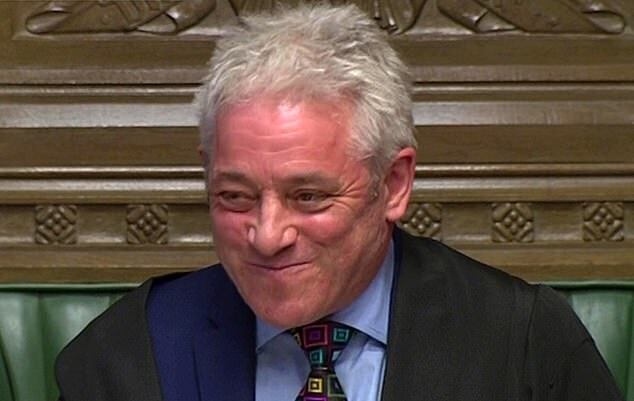 All I can say now is how utterly depressing it is to live in a country in which a political minnow such as Bercow can grab hold of the levers of power, and try to nullify the votes of 17.4 million people. Previous Post:How old is David Seaman and who’s his Dancing on Ice star wife Frankie Poultney?